If you are looking for something fun to do with your kids in Connecticut you have come to the right place. We have a guide to the best and most fun activities to do with your kids while you are in CT. From indoor activities like bowling to outdoor fun like zoos, we have them all listed here. 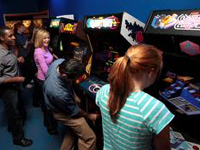 If you want to spend the day with your kids at an CT arcade, you need to look through our complete list of the best Connecticut arcades. Make sure you visit these arcades in CT! 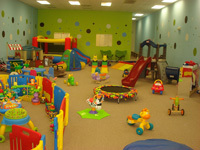 Why hire a babysitter where your kids will be alone when you can bring them do a day care center near Connecticut so they can be around other kids their age? See all of the day cares in the state here. 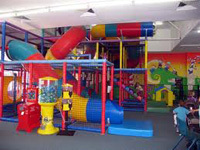 The next time your kids are all wired up simply bring them to a play places in CT. They can run around and have fun with other kids their ages. Find the many options available to you right in this guide. 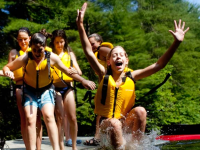 Find summer camps in Connecticut for kids of all ages. These Connecticut summer camps offer indoor and outdoor activities for fun all summer long. Find a CT summer camp to match your child's interests and personality. 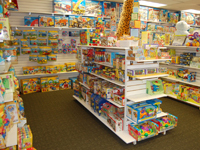 Look through our guide to the best toy stores in Connecticut. These stores have all of the toy you could possibly imagine. If you want to reward you kids or buy something for yourself, these CT toy stores are where you need to go! If you don't have a pool and you are in need of some serious water fun during the summer, check out these Connecticut water parks. 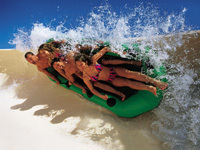 Zip down the slides, splash through the wave pool, and get kissed by the sun. Are you looking for the best zoos in CT? Look no further! 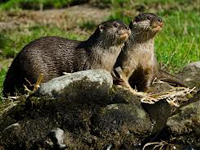 A complete guide to the best Connecticut zoos is listed below. 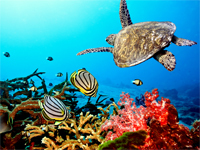 Why spend hours searching when you can find the best zoos in Connecticut right here?